In my 31 years of working in my profession of Social Work, I was asked to complete some challenging and arduous tasks. This would all have been quite overwhelming, had it not been for an amazing team of professionals I was privileged to work with. When Shirley Higgins asked me to consider taking on the VWIB Executive position of Communications Director, I thought it would be quite daunting, and I had to think twice about taking on this commitment. In fact, it is a lot of work, but again, as life would have it, I have been blessed with an amazing team, without whom, I could not begin to do all the work required in Communications for this organization. 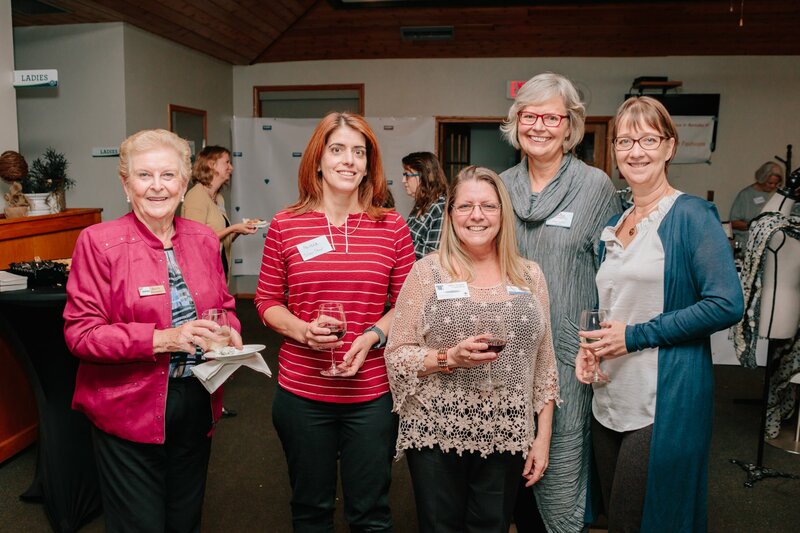 It is with a full heart of gratitude and admiration for the our team, I thank and acknowledge: Barb Silvester, (membership), Sherrilee Franks, (webmaster), Cindy Masters, (Facebook and Twitter) and Catherine Christensen, (events). And were it not for Samantha Plovie, (former webmaster), I would probably be at complete loose ends. Ultimately, life is about the people you get to “row your boat with” so to speak. I can’t do it alone, I don’t think we were ever meant to do it alone. The job becomes fun and easy, when we all pull together. It is a privilege to belong to VWIB, it is a privilege to be on the Executive, and it is an honour to be working alongside women who share the vision for greatness. We are still looking for one more person to join our team, someone to send out the newsletters and “Hot off the Press” releases on a monthly basis. Please consider joining our team if this is something you can help us with! Bill Chalmers, a leadership coach, will help us to embrace change with his wit, humour and infectious energy and that will be worth the price of admission alone! Karen Shumka – a Diamond Director with Usana – has built her dynamic business through navigating marketing changes, which will be the focus of her talk. Dr Gerry Ramigoda, the Chiropractic consultant with the Seattle Seahawks (2014 Super Bowl champions) is known as a performance specialist. He is going to help us understand how our gut health is a key component of success. Sounds fascinating! In order to get the VWIB Registration rate, you must be a paid member of VWIB by the October 8th meeting!